And just in time for fall, Teddy’s will feature its deliciously decadent Pumpkin Shake. Always mixed with fresh milk and locally churned ice cream, the shakes served at Teddy’s never fail to bring smiles to customers, both children and adults. The Pumpkin Shake is undeniably suitable for autumn, delivering subtle, warm spice in every sip. Every customer who visits Teddy’s can expect the best of the best, both in service and in food, no matter which location or franchise they visit around the globe. Teddy’s is also proud to announce a two-store agreement with Thailand, with the first location tentatively set to open later this year. 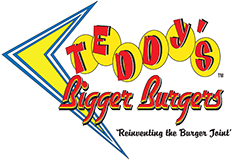 Burger-lovers in the southeast Asian country will soon taste the unique and flavorful burgers that Teddy’s is known for in Hawaii!